Help students master printing and writing skills using the Smart Start™ "Sky to Ground" concept. 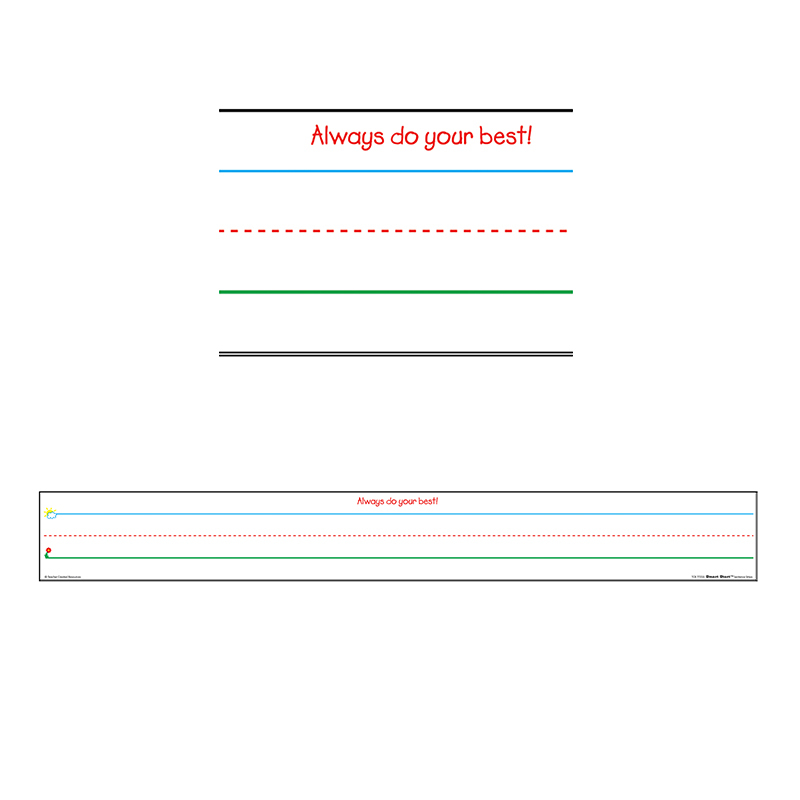 The ruled strips feature colored lines with sky and ground graphics to reinforce the "Start at the Sky and Pull Down to the Ground" approach to proper letter formation. The write-on/wipe-off surface allows students to practice again and again. These handy strips are easily repositionable and stick to any magnetically receptive surface. Each piece measures 24" x 3". 6 pieces per pack.